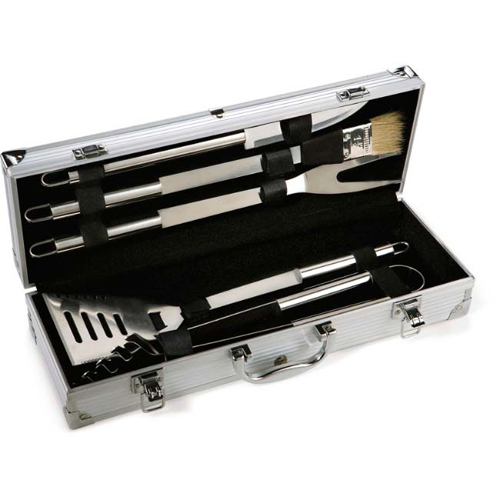 BBQ 5-Piece Set Sturdy case with high quality utensils. The Stainless Steel case includes: tongs, spatula, fork, brush and knife (All Stainless Steel). Boxed / 22 lbs / 6 pcs.